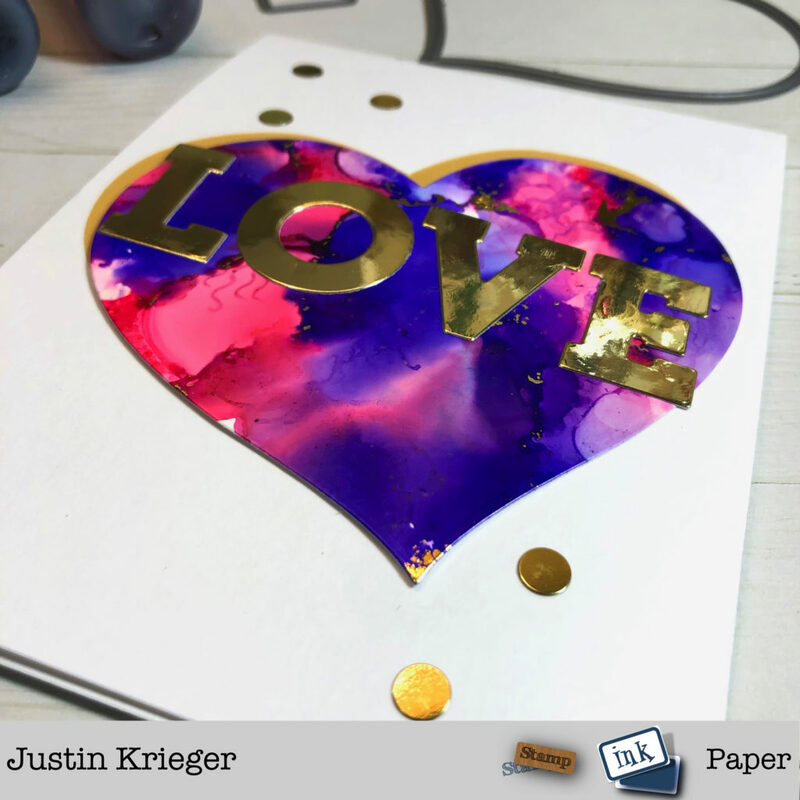 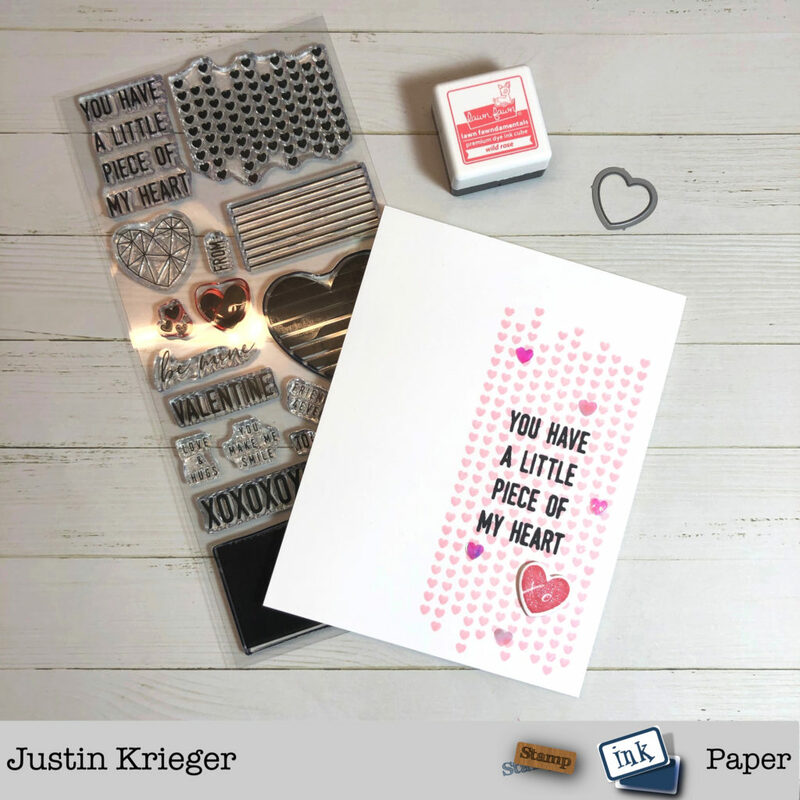 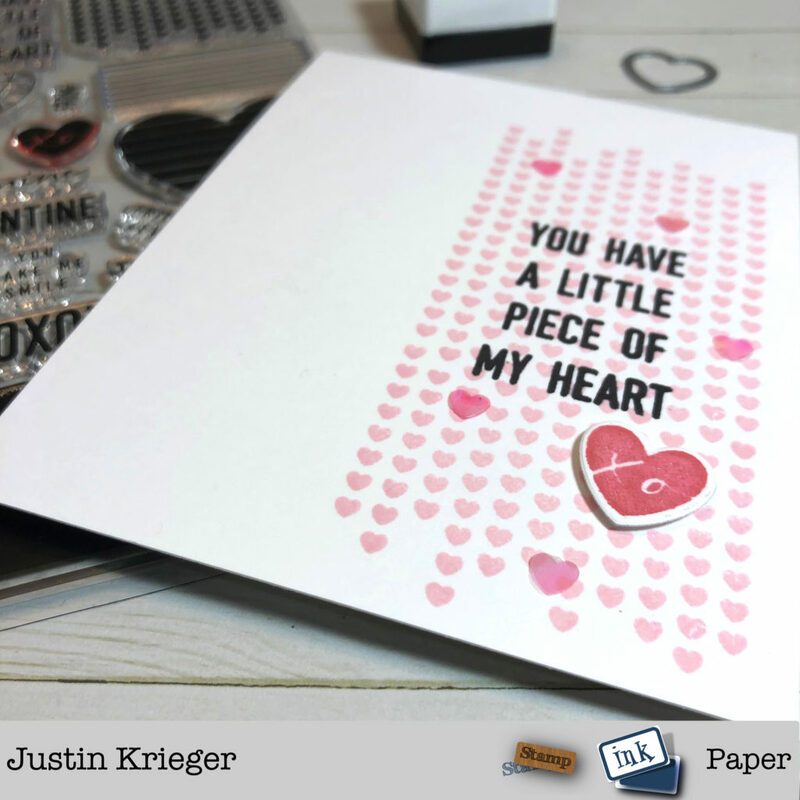 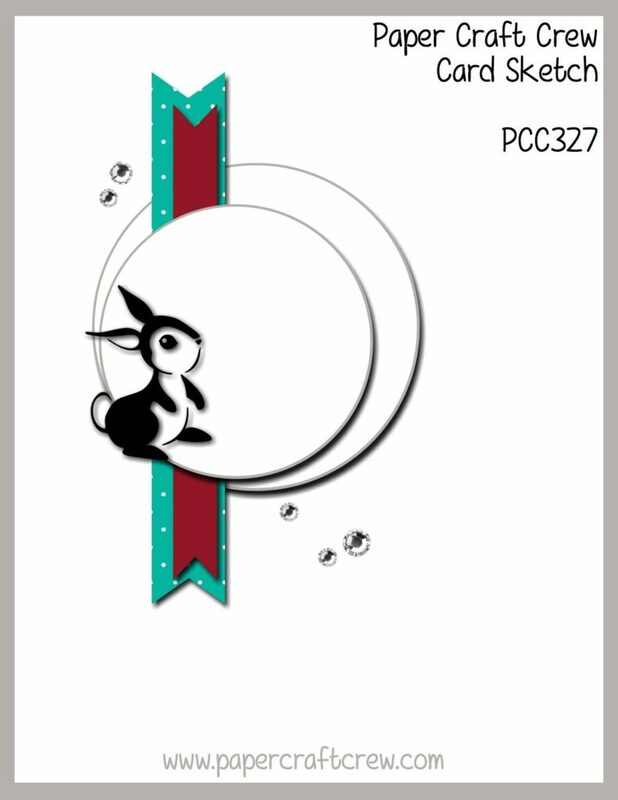 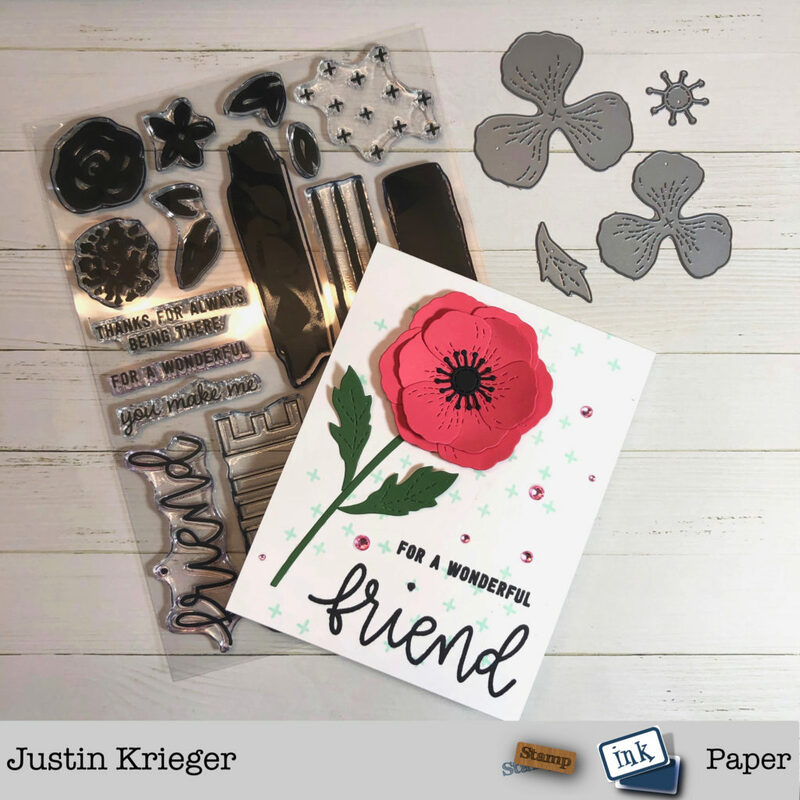 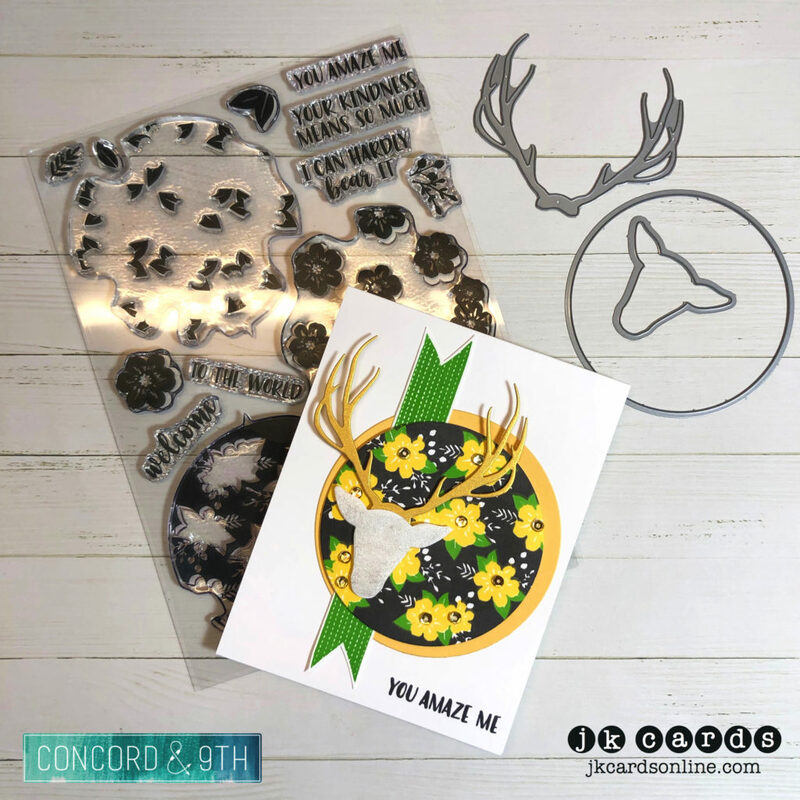 I got to play with new goodies from this month’s Concord & 9th release to make my card! 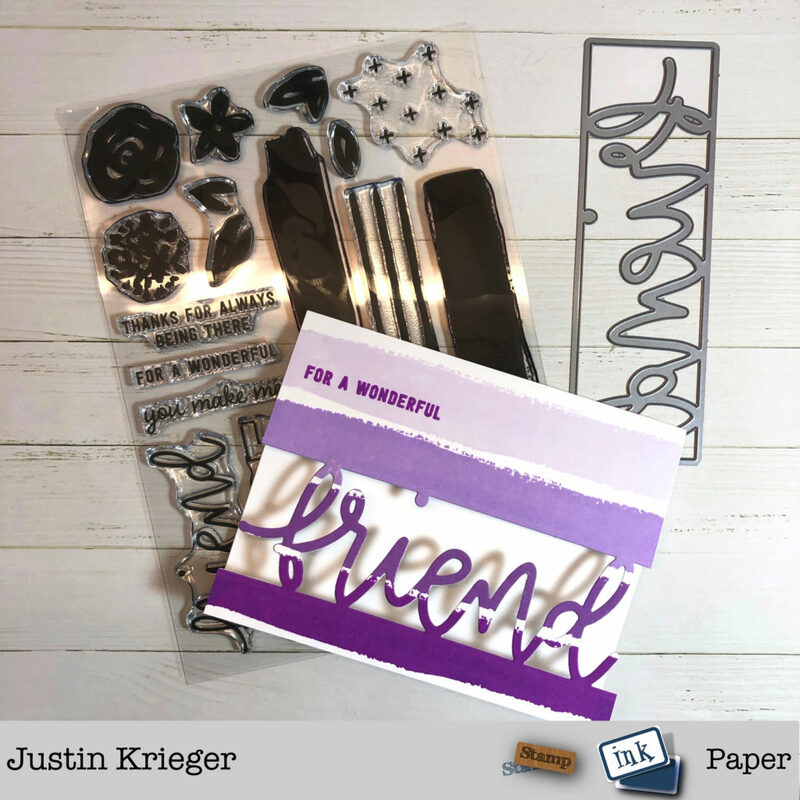 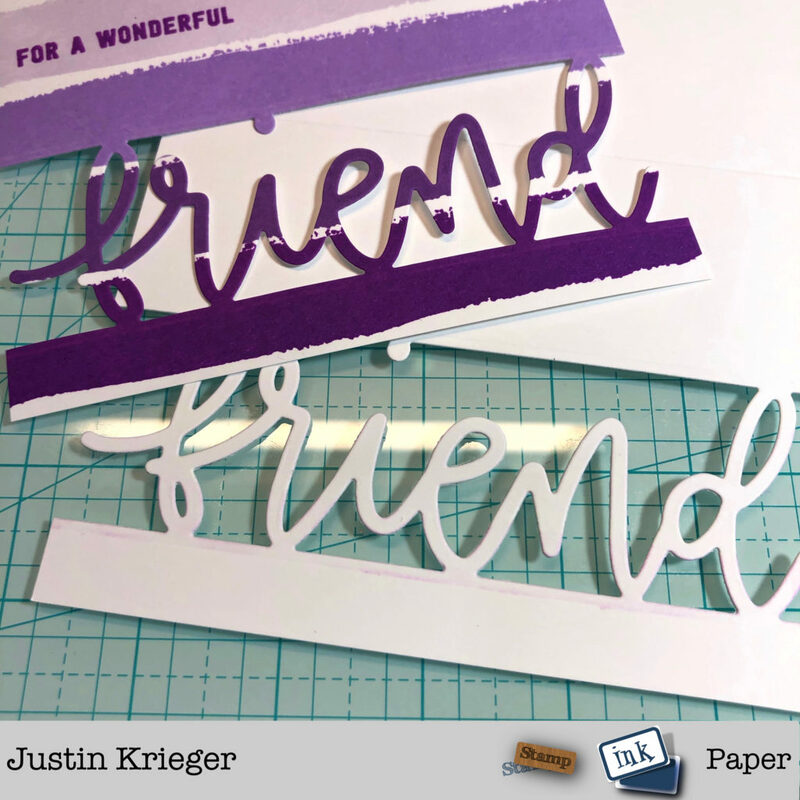 To start I stamped the paint stroke from the Concord & 9th Peek-Through Patterns Photopolymer Stamp Set with Altenew Soft Lilac, Lavender Fields, Deep Iris and Midnight Violet Ink onto Solar White 80lb using my MISTI so that I could double stamp each color. 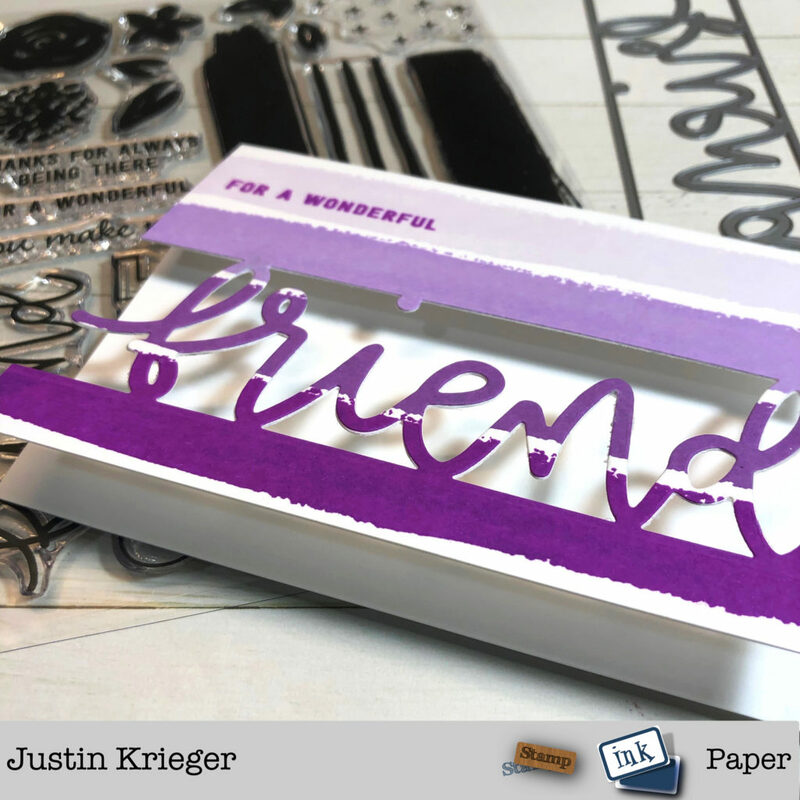 The greeting is stamped in Midnight Violet. 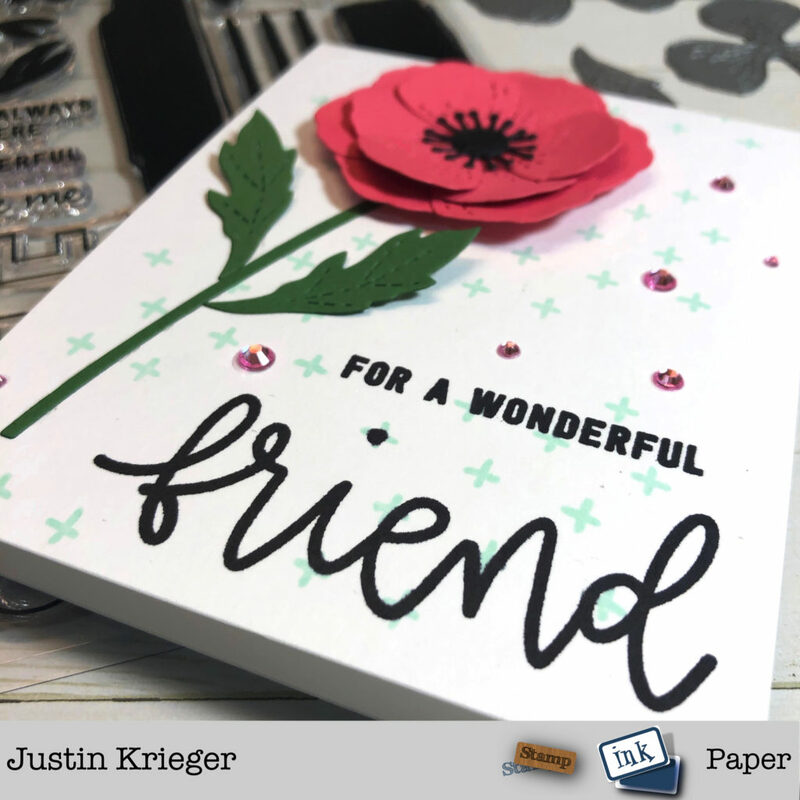 Once that was dry I used the friend die from the Concord & 9th Peek-Through Patterns Dies to cut out the word from the stamped panel and a card base of Neenah Solar White 110lb Card Stock. 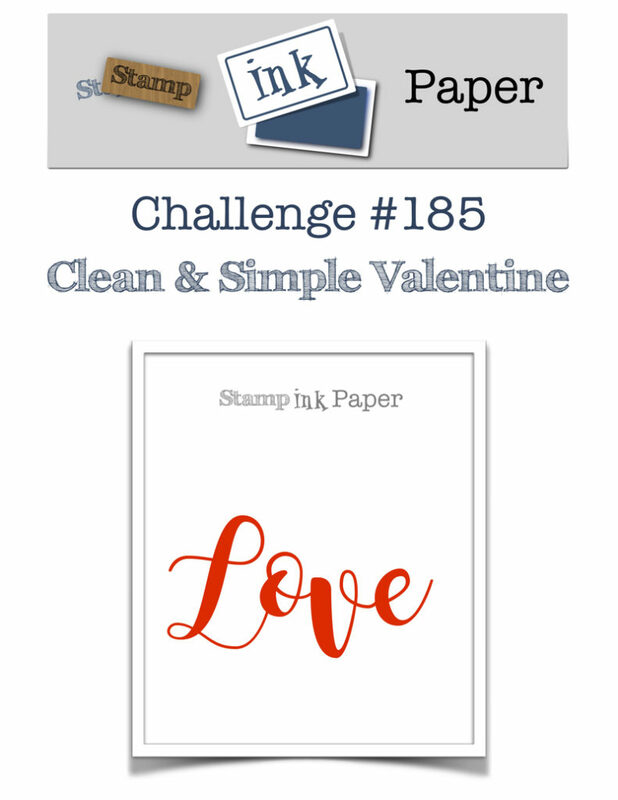 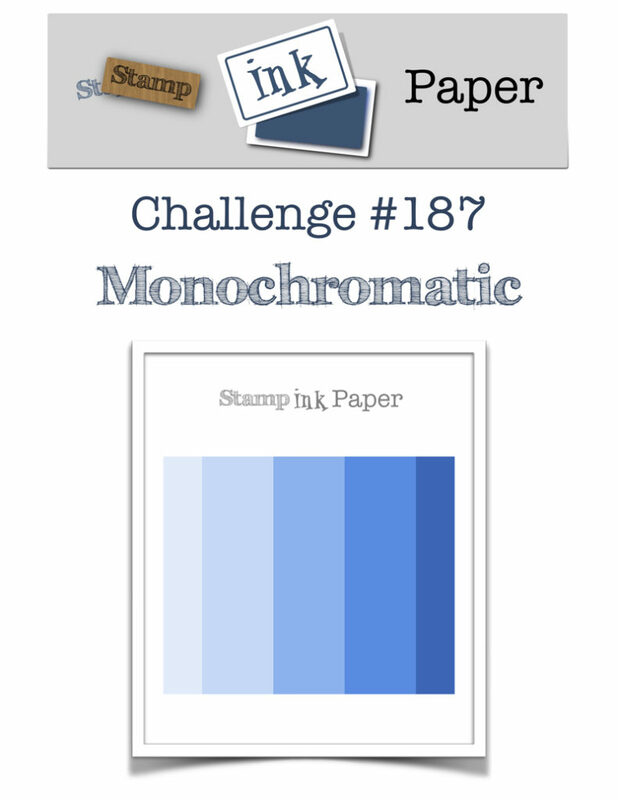 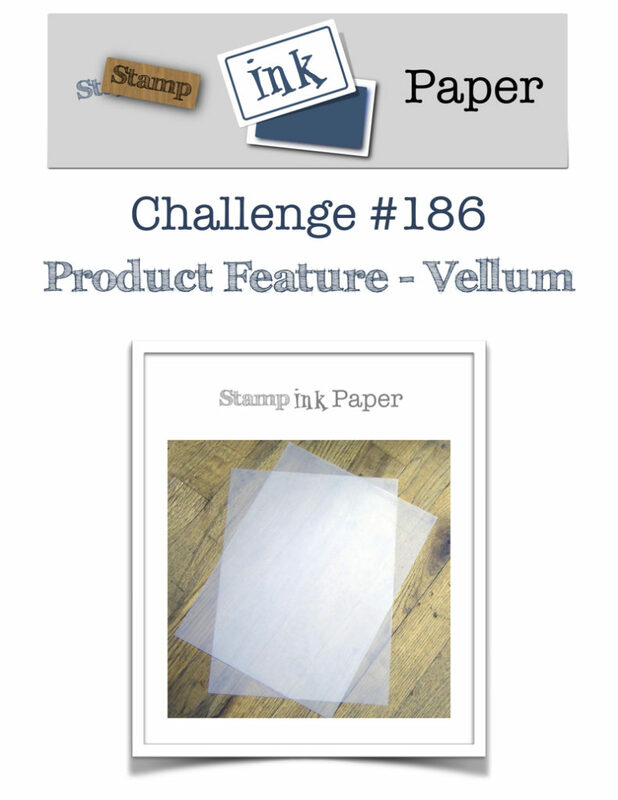 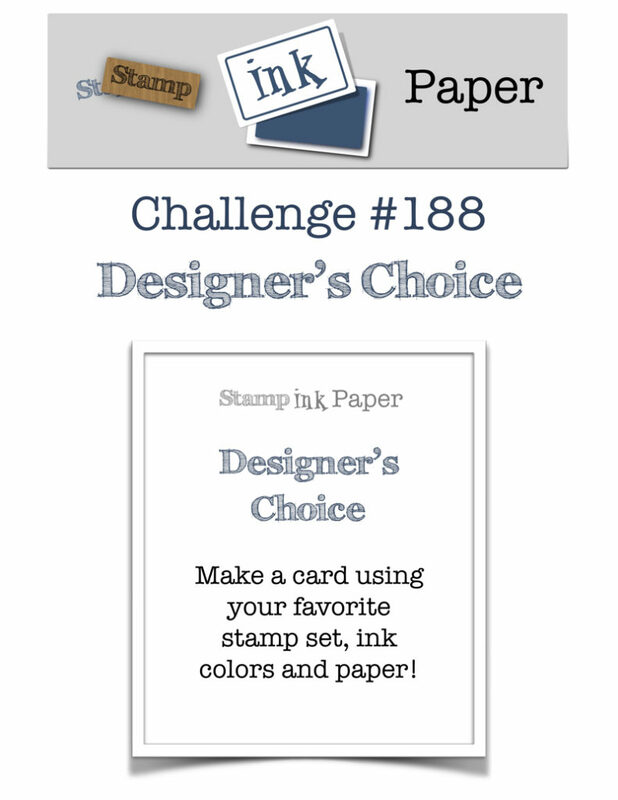 SIP Challenge 186 – Vellum!